This Is To Inform All The Prospective Applicants Of The University Of Ilorin, (UNILORIN) Of The 2017/2018 Academic Session That; The First Batch Admission List has been released Today 31/10/2017 by 6:00pm and we urge u all to check your Individual portal. 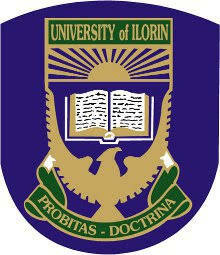 All Unilorin Applicants For 2017/2018 Academic Session Is Clearly Advised To Explore The Official Unilorin Portal For Basic Information Of The Recent And New Activities And Regularities Concerning The Unilorin 2017/2018 Admission Exercises. All candidates who merited the University of ILORIN post UTME cut-off mark can stand a chance to be given admission into the institution. All concern candidates can now check their admission status via the method below on this page. On the next page, Enter your JAMB Registration Number, and your Surname. Finally, Click on the “Login” link to view your admission status. Only those considered for admission will be communicated via TEXT, and this can be verified by checking your Portal and clicking on ADMISSION STATUS. Once you receive the notification do note that there is usually a deadline for payment of acceptance fee, fixed at N20,000. This is to ascertain how many those who accept or rejects the admission. Failure to pay before the deadline such admission will be forfeited. This usually give aspirants stress, many might have travelled down to Ilorin forgetting that the school will mandatory ask for *Birth & State of Origin certificate*etc thereby travelling back again. Once you are given admission, one is advised to come to school ASAP to start registration process. Definitely you will need a place to stay so make provision of such. *Hostel on campus is not Mandatory* so don’t think you already have a secured accommodation, It won’t even be open yet for application.